In 2007, LG Designs was formed to fill the need of producing stylish bulletin boards. These boards are designed to be used within any room of your home. They are beautifully displayed through bedrooms, family rooms, mudrooms, kitchens and offices. They can serve as a functional push pin board or as a beautiful or fun piece of casual art. 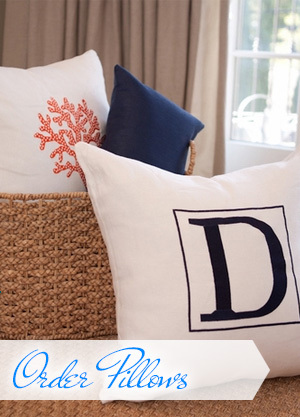 Today traditional initials and beach inspired icons embroidered on bulletin boards grace the homes of designer, students, friends, and families across the country. 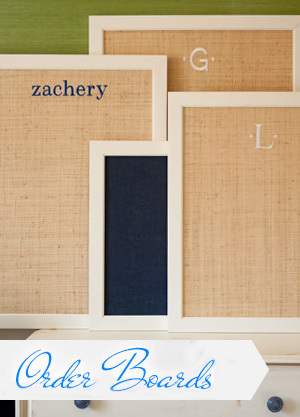 Gorgeous raffia or burlap sets the foundation for custom monograms. Finished in high-end, beautiful wood, metal, or lacquered frames, each bulletin board reflects the customer's taste. With a myriad of designs and customers, LG Designs has added beautiful embroidered pillows to their collection. Each pillow, exquisitely embroidered on the finest linen, is the perfect accent for any room.